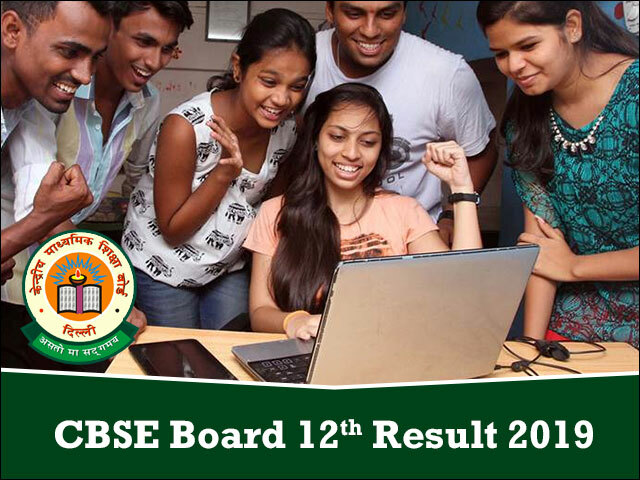 CBSE 12th Result 2019 will be announced in the month of May 2019. However, since the day of the completion of the Board Exam, students have been waiting for the announcement of the CBSE Result 2019 for Class 12. Keeping up with the general trend, the Central Board of Secondary Education will make the CBSE XII Result 2019 online on their official website i.e. cbseresults.nic.in. Class 12 CBSE Result 2019 is of critical importance of for the students, as they will decide their academic and professional fate. This year, nearly 11 lakh students have appeared for the Class 12 Board Exams and are expecting CBSE Result 2019 Class soon. Jagranjosh.com will help them stay updated and informed about the latest news and happenings about CBSE 12th Result 2019 through this page. Students will also get all the necessary information about the upcoming CBSE Class 12 Results for Science, Commerce and Arts Stream here. Although the official notification about the CBSE Class 12 Result 2019 is yet to be announced, the general trend suggests that the results might be declared in the last week of May. This year, the CBSE Board Exam for Class 12 students will be conducted in the month of February – March 2019. Since, the completion of the CBSE Class 12 Board Exam 2019, students have been eagerly waiting for the declaration of the results online. As per the general trend, the CBSE 12th Class Result 2019 will be declared in the last week of May. Central Board of Secondary Education will make the Class 12 Results available to the students online on the official website of the board i.e. cbseresults.nic.in and cbse.nic.in. If you are one of the 11 lakh students who are awaiting the declaration of CBSE XII Result 2019, you should bookmark this page. Jagranjosh.com’s team will update this page on regular basis to provide you with all the important news and updates about the CBSE Results 2019. Alternatively, you can also register for the updates by filling up the forms provided above. Looking at the above stats, students who are awaiting their CBSE Result 2019 for Class 12 will be able to gauge the level of competition and the evaluation procedure. How to check CBSE Results online on cbseresults.nic.in? Soon after the official declaration of the results, the CBSE Class 12 Result scorecards will be available on board's website. With lakhs of students accessing the results online simultaneously, there might be some technical glitches on the website. To avoid any last minute confusion among students, we have listed down the key steps involved in the process of checking the CBSE 12th Result 2019 below. These simple steps will surely help you in getting your 12th CBSE Result 2019 quite easily without any delays. After checking the CBSE Result 2019 Class 12 students will also be able to download their Result scorecard offline in PDF format. Students are advised to keep the downloaded copy of CBSE 12th Result 2019 on their smart phone or computer. Alternatively, they can also take 2-3 printouts of the Result for further reference. Post the declaration of CBSE Class 12th Result, the Board will make the necessary arrangements for the issuance of original marksheets. Students will be able to collect the CBSE XII Result 2019marksheetsform their respective schools after the formal declaration of the CBSE 12th Result 2019. The Results procured or downloaded online from either the official website or Jagranjosh.com are only for informative purposes and will not be considered to be a valid document for admission process in any college / university. Therefore, students are advised to collect the original CBSE 12th Result marksheet from their respective schools or centres after the declaration of the CBSE Results 2018 Class 12. For those students who were expecting a better CBSE Result 2019 Class 12, the Board will announce the option of re-checking and re-evaluation of the Board Exam Papers. In the rechecking process, CBSE will re-tally and re-calculate the marks awarded to the students for different questions. Similarly, during the re-evaluation process, the entire answer sheet for CBSE 12th Result 2019 will be re-checked by an independent examiner. The re-checking and re-evaluation process followed by the CBSE Board allows students to clarify doubts with regards to their performance in the CBSE 12th Results 2019. The CBSE Class 12 Results are pivotal to the further career graph of the students. Therefore, re-checking and re-evaluation process helps students to make sure that their answer sheets have undergone fair evaluation. After the announcement of the CBSE 12th Result 2019, the Board will also announce the plan for the conducting the Compartmental Exams for students who have failed in few subjects or for those who want to improve their CBSE Class 12 Result Score. The official notification regarding the CBSE 12th Compartmental Exam will be issued soon by the Board. We will update this space with the necessary information about CBSE 12th Compartmental Result 2019 once the official notification for the same is announced by the CBSE. Until then, students can go through all the other details related to CBSE Class 12 Results 2019 on this page. The foundation stone of the Central Board of Secondary Education (CBSE) was laid in the year 1952. CBSE is the highest authority for centralized school education across India. The Board is entrusted the responsibility of monitoring, management and development of school education across India through a network of affiliated schools that operate at the national level. As of today, the Board is in-charge of thousands of public and private schools at both secondary as well as higher secondary levels. These include KendriyaVidyalayas and all JawaharNavodayaVidyalayas. In addition, the CBSE also conducts the annual CBSE 10th Board Exams and CBSE Class 12 Board Exams every year for nearly 20 lakh students. CBSE has stated that re-exam of class 12th physics and economics paper is a rumour and has asked the public and stakeholders not to pay attention to this and help Board in the smooth conduct of exams. CBSE Class 12th Board Examination are commencing from tomorrow, here are some important things for the candidates to keep in mind during the examination time. The Central Board of Secondary Education (CBSE) has announced the Class 12 compartment results 2018 today.